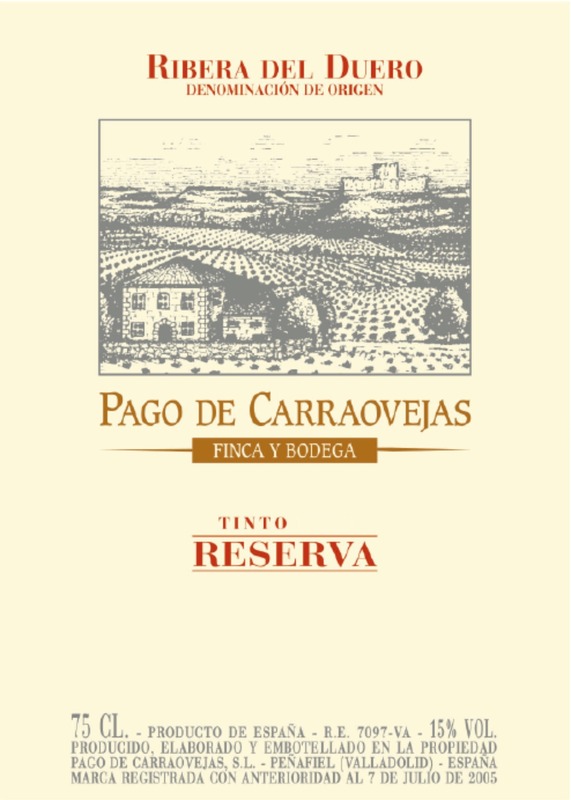 Pago De Carraovejas Reserva 2014 is made from Made from 78% Tempranillo, 15% Cabernet Sauvignon and 7% Merlot, aged in French oak barrels for 12 months, this is an elegant medium to full-bodied wine with ripe red fruits, sweet spices combined with toasty notes. The tannins provide texture and roundness and the finish is long and intense. We make our Pago De Carraovejas Reserva 2014 using selected grapes from vineyards with a greater potential for performance, in other words, with a fruit concentration and, at the same time, appropriate levels of acidity and firm, ripe tannins. Our process respects the fruit and we work slowly and meticulously: we pick our grapes by hand and we transport them in crates. Depending on the plot of land they come from and the time they arrive at the winery, the grape may be put into cold rooms to prevent oxidation and preserve their aroma.